BOK was first established in 1913 by the Anglo-Egyptian regime. In 1925 it was renamed Barclay’s Overseas Bank and renamed Barclay’s Bank in 1954. The international best practice processes and procedures that were instilled by Barclay’s during this time remain within the bank’s culture today. In 1970, the bank was nationalized by the Sudanese government and from 1982-2002 it led the consolidation of the banking sector acquiring several local and regional banks. In 2001, BOK was privatized, and institutionalized its shareholding structure.Dubai Islamic Bank (DIB), first and leading regional Islamic Bank headquartered in the United Arab Emirates, is the primary shareholder. DIB brought with it a strong and proficient management team with international banking experience. The other institutional shareholders are also pioneers in regional Islamic banking and include the Islamic Development Bank Jeddah, Abu Dhabi Islamic Bank, Sharjah Islamic Bank, United Arab Emirates, Etisalat and local and regional investors. BOK is the largest banking group in the Sudan offering its customers a full range of innovative financial products and services. 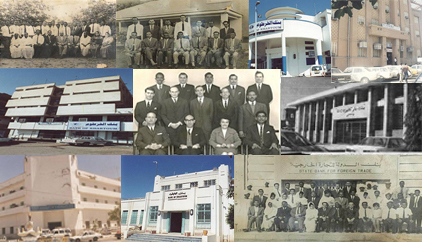 It is also the oldest bank in the nation; celebrating its 100th year of serving the Sudanese people. BOK is the largest banking group in the Sudan offering services to Corporate, Retail, Microfinance and investment Business Segments; it also owns various subsidiaries in Trade, Exchange, Brokerage, and Commercial Real-estate.The Bank Manages a Portfolio of USD 2 billion.Headquartered in Khartoum, BOK has over 2048 employees across the group.BOK has over 100 branches & cash offices and over 300 ATM /CDMs, the largest branch and ATM network in Sudan. BOK will also introduce new products and services to its clients like Agency Banking and further enhance its mBOK (mobile Banking) services which currently offers wide range of services like utility payments, mobile top ups/ payments, fund transfers etc. The Bank also has a 24 hour call center, VIP banking and a full suite of e-services which include online banking and SMS alerts. BOK operates under Islamic Banking Standards and Principles which ensure Shariah compliance in all of the bank’s services. “Our 100-year history certainly gives us an advantage of really knowing and understanding the market and our customers. However, our attitude is more forward looking, more about leading; anticipating ‘what next’, asking ourselves, what more can we do? This is what differentiates us. This is the culture we are building”, Mr. Fadi Al-Faqih, Chief Executive Officer, Bank of Khartoum.